The final season of Game of Thrones has started. A lot happened on the episode, Jon finding out his parentage and flying Rhagal, sets the tone for 3 dragon rider fight between Dany/Jon and the Night King. Tension amongst the women around Jon is set for future betrayal. Arya, Sansa and Dany have different perspectives for the war to come. As Sansa is against Jon bending the knee. Also after finding out his true parentage, his allegiances are somewhat undeclared to this point. 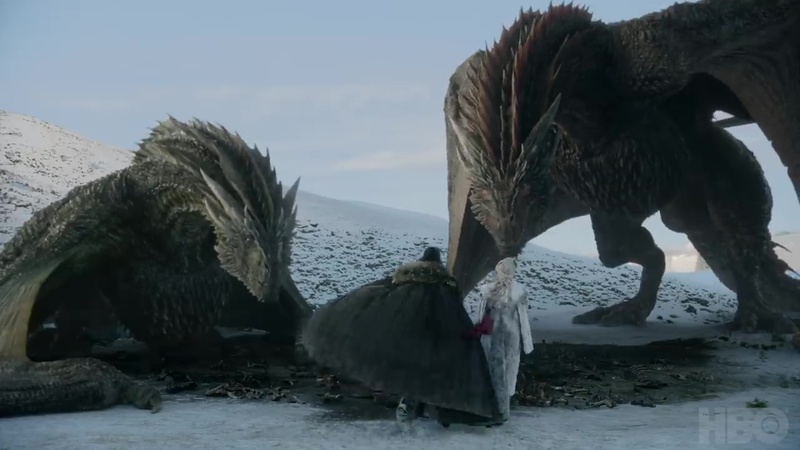 We will see what happens once Daenerys finds out that Jon is her nephew. Will Daenerys bend the knee to him? That was one big question. Sam hopes Dany will be like Jon. He doesn’t see it possible after learning of his father and brother’s death. 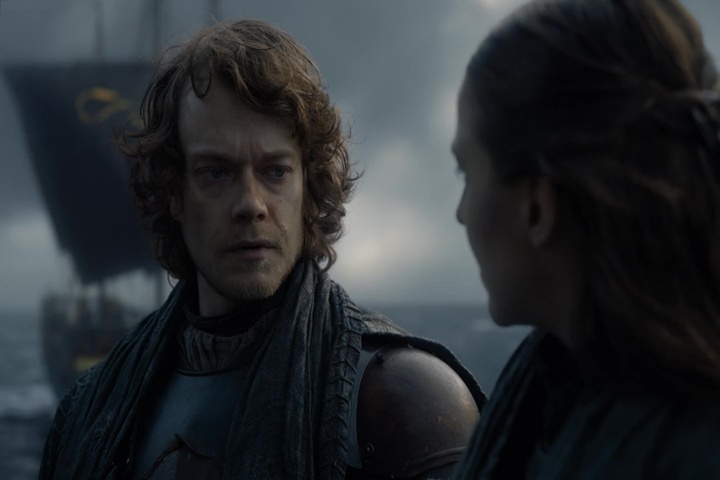 Theon after saving his sister will go to Winterfell, and eventually, after the battle of Winterfell, lead the Northerners to Pike when Winterfell burns to ashes. Sam learned about his father and brother. Jon Snow learned of his true bloodline. The Hound and and Arya have been reacquainted. Sansa and Tyrion finally met again. What all the characters will do with the information is what makes waiting for Episode 2 nearly unbearable to wait for. We saw Sansa's feelings toward Daenerys, Sam's hatred at his family being killed, Jon's reaction to his true lineage, the white walkers advancing and essentially toying with people, a whole lot of drama starting between Jaime and Bran, reunions everywhere. Hell, we even got hints towards a potential rebellion against Dany. It was an excellent episode alltogether. 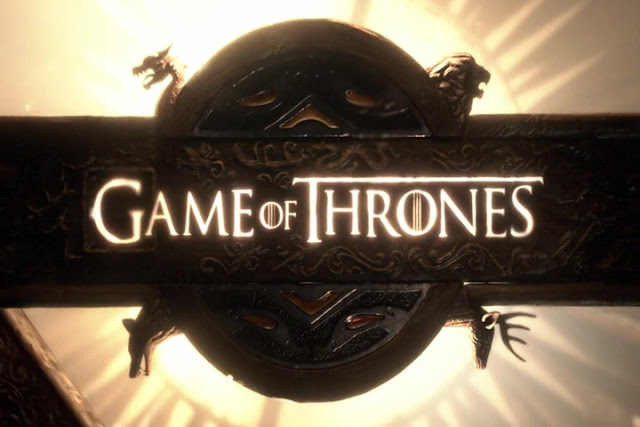 See Predictions: What to Expect from Season 8 of Game of thrones? When Arya said "remember who your family is", I think that is gonna come in to play later. Cause Jon will always will be a Stark. I thought it sounded like a veiled threat. I love Arya but she's become psycho. I'm afraid anyone that comes between the the Stark family will end up on her list. I did love her exchange with the hound. I don't care what people say. That was "I missed you" and "I missed you too"
It's not clear exactly what Jamie knew about Bran. As of when he left Winterfell, Bran was still alive. If I recall correctly, it was Littlefinger who sent the assassin with a dagger from House Lannister to use Bran's injury (and assassination) to set Lannister and Stark at each other's throats. 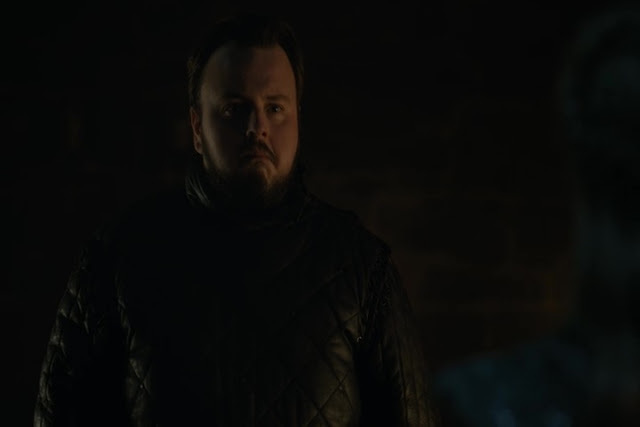 Jamie tossed him out the window on an impulse, to hide their secret, but ultimately at that time didn't care about anybody except Cersei and Tyrion. I think the old Jamie didn't care enough about Bran to wonder if he'd lived or died. Sansa is being practical. She has become of what she has learned how to survive. It's another character we need to flow with rather than expecting a fairytale ending. 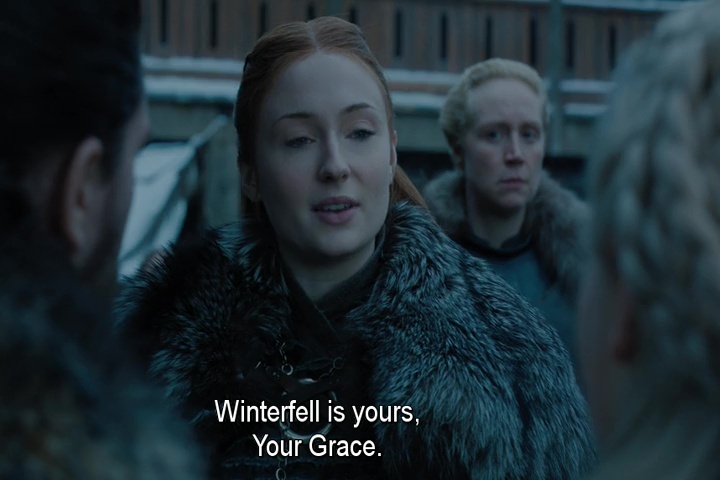 I was really annoyed with Sansa and the northern lords not backing Jon's decision. Really you are getting too serious about titles when you have a zombie army coming to kill you all. Priorities people. She was really smart and reasonable in this episode. She knows that Winterfell won't be able to provide food for such a big army and two dragons. She cares for her people. I think Sansa is acting as such just to protect her family. It's quite natural to doubt Dany at this point. Eventually she'll get the bigger picture. Remember she's a slow learner but learns nonetheless. I wonder if Jon is actually going to tell Dany. I mean you would think he would want to since she's his aunt and all. It would be wrong for him not to tell her and continue a relationship with her. Expecting that Game of Thrones Season 8 Episode 2 will be great just as this one.